This powerful shaker is designed with a 9,000 RPM motor that quietly whips your protein shake into a smooth liquid in seconds. Additionally, the motor base detaches from the bottle for easy cleanup, making this extremely portable. 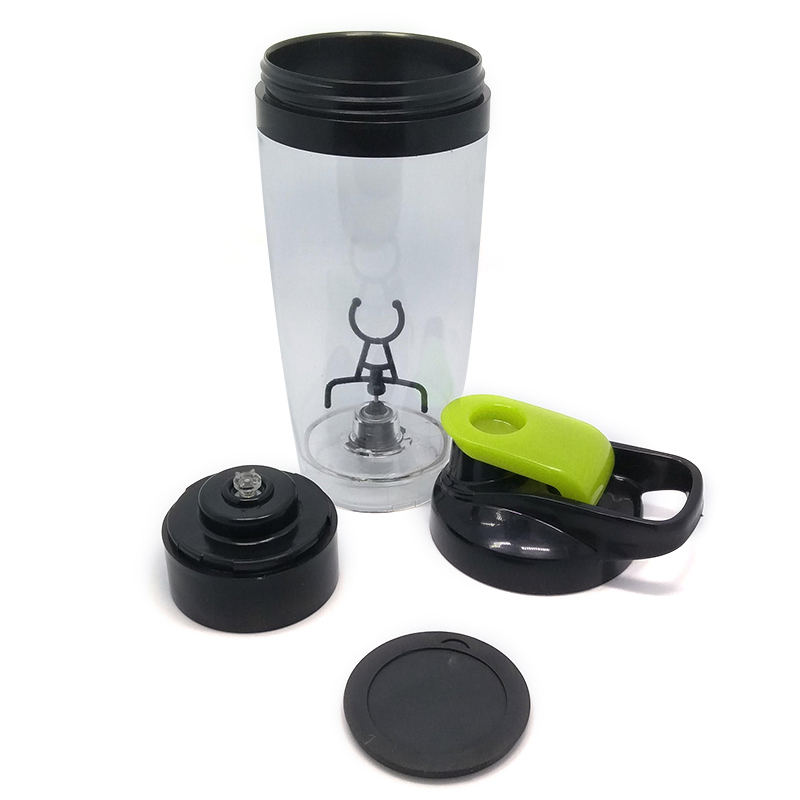 Speaking of portable, the locking mechanism on the lid can be engaged with one quick click, making the mixer 100% leak-proof and giving you peace of mind as you toss your protein shake into your gym bag. The versatility and portability of this shaker are endless! Use it anytime you’re on the go and need to mix anything up, including but not limited to: protein shakes, nutritional supplements, baby formula, powdered juice drinks, and instant coffee. 1. Automatic Stir, moderate strength, will not spill. 4. Fill Vortex Shaker with the required liquid. Add protein or other powdered supplement and close the lid.